Signal a potential hazard or draw attention to moving equipment such as forklifts with these strobe and flashing lights. When they are strobing or flashing, the lights alternate between on and off, which changes the amount of light that is illuminating the room. Ideal for noisy environments where audible alarms may not be heard. 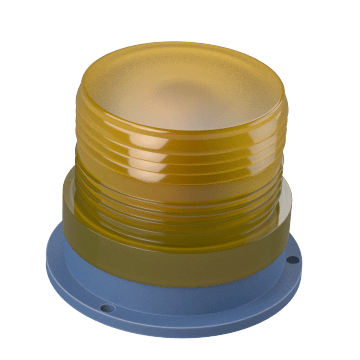 These round general purpose lights are suitable for a variety of common applications and situations. They are brighter and have a longer bulb life than light-duty lights. 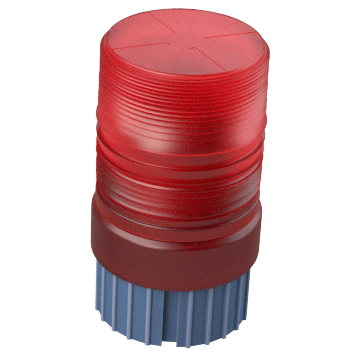 Choose these round low-profile, general purpose lights for applications where space or clearance is limited, such as on control panels and forklift cabs. General-purpose lights are brighter and have a longer bulb life than light-duty lights. 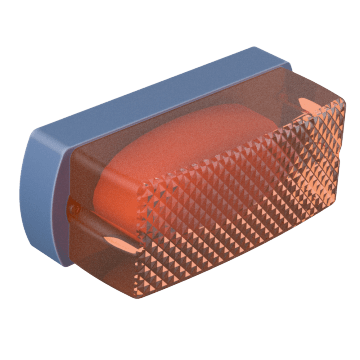 Featuring a rectangular shape, these low-profile, general-purpose warning lights are ideal for applications where space or clearance is a consideration, such as in control panels, on walls and assembly lines, or above doors or entries. General-purpose lights are brighter and have a longer bulb life than light-duty lights. 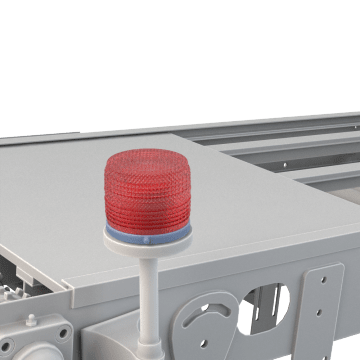 Install these light-duty lights in a variety of applications, including on machinery and material handling equipment. Ideal for smaller spaces, light-duty lights are less bright and have a shorter bulb life than general-purpose lights. 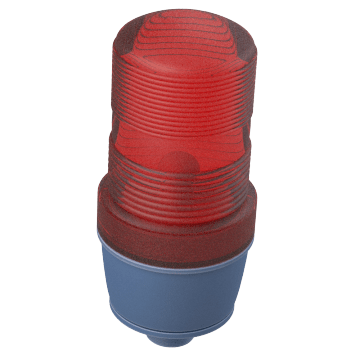 Low-profile, light-duty lights are suitable for a variety of applications where space or clearance is limited, including on machinery and material handling equipment, such as forklift and truck cabs. Ideal for smaller spaces, light-duty lights are less bright and have a shorter bulb life than general-purpose lights. 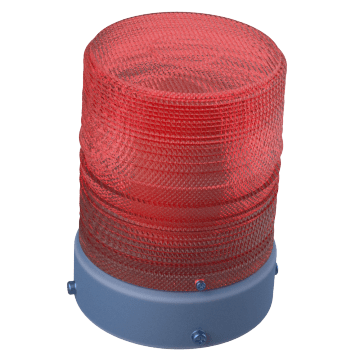 Durable heavy-duty warning lights provide more vibration resistance than general-purpose lights, making them a good choice for use on moving vehicles. 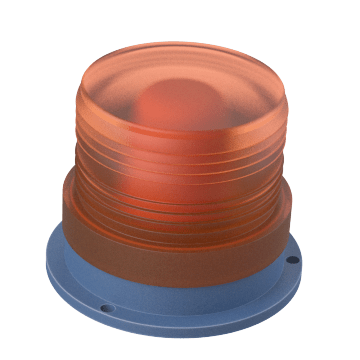 Mount these lights on industrial equipment or in other applications where heavy vibration is a concern. 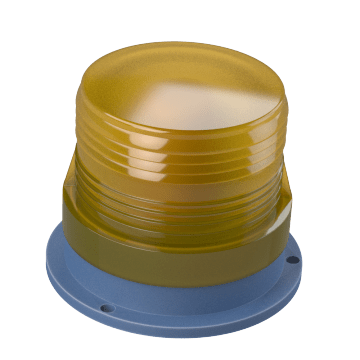 They provide more vibration resistance than general-purpose and heavy-duty lights. 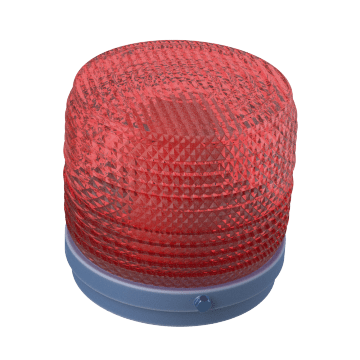 Help make sure warning lights get noticed with these high-intensity lights, which have extremely bright light output that can be seen in large areas or brightly lit conditions. 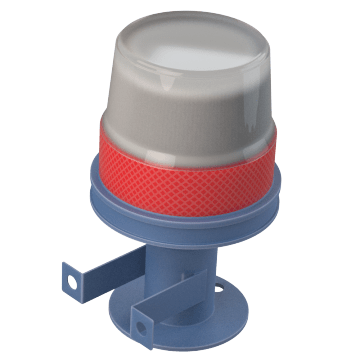 Add signaling lights to control panels and vibrating horns using these low-profile lights, which mount to compatible horns or control panels. 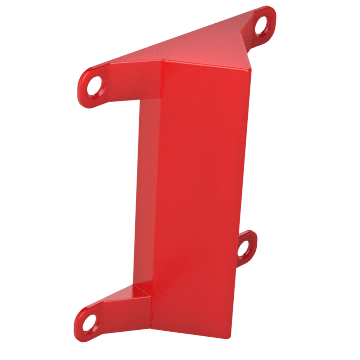 Their low profile makes them suitable for applications where space or clearance is limited. Use these solar-powered lights for temporary applications or in outdoor areas without access to a power source. They are recharged by sunlight and can be wall mounted or placed on a traffic cone. The lights have a switch and must be manually turned on and off.